Maestro is a documentary on the Estonian-American orchestral conductor Paavo Jarvi, and it gives not only a brief but brilliant glimpse into Paavo’s life and career, but also an honest point of view on music (classical music, to be specific) and it’s role in our lives. The film features Jarvi himself in interviews and various pieces of footage throughout the years, as well as interviews with many of his colleagues in the concert world such as Hilary Hahn, Joshua Bell and several others. Watching this, it appears that the direction for the film was not to just delve into the life of one person only, but to transcend this and make it more about why the music we call ‘classical music’ exists, what makes it so special, why we need it, and what it means for the other musicians as well. David Donnelly did a marvelous job with the combination of interviews, archival as well as newly-shot footage, and a lushly-mastered soundtrack of the orchestral music that Paavo Jarvi is known for. You will no doubt enjoy Maestro if you are a music buff, and it is great for the interviews as well as the music. There’s even a brief archival clip of hip-hop artist 50 Cent talking about his son getting classical training, which is pleasantly surprising. Before the film’s official US release, the makers of the film have a special goal–The plan is to get Maestro screening in 1,000 schools in 30 days by allowing individuals to sponsor educational DVDs. Bringing classical music to a school of their choice for the price of a pair of sneakers. The DVDs are available through this link. The information is on the page. It can impact the lives of hundreds of thousands of students who have never been exposed to classical music, and help to make a big difference for the future of music education. Thanks from everyone involved. Remember Melissa Jane Dichiera, the rock and roll goddess (A term I had used to describe her) that was featured on The Glass back in 2013? She is back and still going strong as a classy front woman for 3 different bands, and these days she even has time for a day job at Universal Studios. Of course the reason I knew of her in the first place was her appearance on the VH1 Classic reality show Rock and Roll Fantasy Camp. We all decided it was time to do another great Q&A for The Glass! CM: What have you been doing since last time we spoke? Melissa: I have done a lot in the last three years. I had the pleasure of being the fill in singer for the US tour of System Divide in 2013 being one of the opening acts for Epica and performing along side some great bands like Insomnium and Al Storm. I have been doing some of the best song writing of my life with Final Gravity and SYNN and very excited to release these albums in 2016. I am very proud of the song writing I have done and can wait to share this music. CM: Your 3 bands are all still active? Melissa: All of the bands have been doing great! SYNN have a new .com site that is http://www.synnband.com and Final Gravity will be relaunching a new and improved site with the upcoming album release. Both bands to a break from performing to focus on finalizing our albums which we are super proud of. We have started doing shows again that are hosted by Metal Sanaz who is an awesome supporter of the music and we have a huge schedule for performances and tours coming up end of 2016 for SYNN and tour will be early 2017 for Final Gravity to promote each bands album release. Lady Zep have been performing consistently and our shows are getting bigger and better and starting to hit the casino scene and community summer concert series. CM: By day you are a production coordinator at Universal Studios. Do you have an effective way of balancing this responsibility with the music career? Melissa: I have also been working with Universal Studios as a vocal coach for their rock shows and their special Grinchmas events. I have also had the pleasure of not only being able to vocal coach on these shows but also perform as a singer during the summer and for special events at Universal Studios Hollywood. CM: You do have a fabulous prowess as a singer onstage. Are you considering and/or preparing to make it the only career if that’s something you truly wish to do? Melissa: Being a performer is my number one passion and I do believe it is a natural talent. I must nurture and enjoy! I absolutely have made singing and music my number one focus and will definitely continue to do so. SYNN will be releasing a new video clip this year for the song “Burning Flames”. And I have just joined a Duran Duran female band that will be performing in both LA and Vegas. This has just happened but is exciting and there will be lots of shows coming up! Silent Cranes, a 2015 Kronos Quartet commission, is a multimedia piece that will remember those who were massacred and deported during the Armenian Genocide of 1915, and offer hope for a peaceful resolution in the present day. Children of Conflict, is a series of portrait pieces inspired by the work of American Pulitzer-nominated war photographer Chris Hondros, who captured images of children in wars around the world. 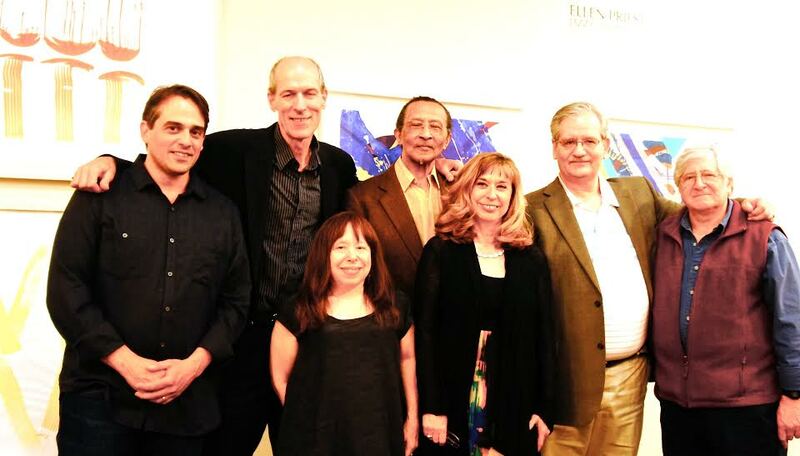 l-r: Max Giteck Duykers, David Picton, Peri Mauer, Gayther Myers, Susan J. Fischer, Richard Brooks, Eugene Marlow. On Tuesday, April 21, 2015, I was pleased to attend a New York Composers Circle concert at St. Peter’s Church in New York City. Like previous NYCC concerts I’ve attended, this evening’s program, one dedicated to music for wind instruments, was varied and entertaining. The evening began with a very beautiful piece for oboe, violin, cello and piano by Susan J. Fischer called “Intermezzo”. The next piece on the program was a work for solo oboe by Peri Mauer aptly called “Journey”. A fanciful piece that explored the full range and colors of the instrument, it was a beautifully vivid journey through sound and time. Next on the program was a work for flute, oboe, clarinet, horn and piano by Gayther Myers entitled “The Workday”. The composer, in his introduction to the piece, asked the audience to recall their average work day, with it’s ebb and flow of busy-ness, frustration, moments of calm, and finally, the end of the shift. The piece captured this very well and the interplay between the instruments was finely written and beautifully executed by the players. Following Mr. Myers piece was a work by Max Giteck Duykers called “Dark Body”. Scored for flute, violin, cello and piano, Duykers piece explored tone and rhythm in a series of short, exciting sections. It, too, was a very satisfying composition. The second half of the program began with a four-movement work for oboe and guitar by David Picton. Called Turning Leaves for Sandy, this pastoral work with sections evoking first spring buds, summer passion, and fall colors traced the life of a year in a warm and elegant play between the oboe and guitar. Mr. Picton, a jazz player as well as a classical composer, injected an easy, melodic element into the evening’s program. The next piece in the concert, by Orlando Legname, was a two-part work for flute, clarinet, violin, cello and piano, with conductor. Called Vortici D’etere, it was an interesting late acoustic work by the recently deceased Signor Legname, who was as well known for his compositions for electronic instruments as for those he’d written for traditional concert instruments. Following Mr. Legname’s piece was a delightful three-part work for flute and alto flute by Eugene Marlow. Called Trois Chansons pour une Poetesse, it was originally written as a work for solo flute, but some years after composing it Mr. Marlow decided it would work nicely as a duet. He was right; it was quite lovely. One hopes that the poetess he had in mind would have been pleased with the songs. The final work in the program was Richard Brooks’ “Into the Twilight”. Scored for flute, bassoon, violin, viola and piano, the piece is built on a simple melody stated in the bassoon followed variations expanding on the melody’s intervals. It was a straightforward yet very enjoyable piece. Taken all together, the compositions made for an excellent evening of well-written music, with top-notch performances by Christa Robinson, Keve Wilson, and Virginia Chang Chien on oboe, Esther Noh on violin, John Popham on cello, Stephen Gosling on piano, Margaret Lancaster and Roberta Michel on flute, Christa Van Alstine on clarinet, Matt Marks on horn, Oren Fader on guitar, Nanci Belmont on bassoon, and Hannah Levinson on viola. Dave Hall is a composer and songwriter based in New York City. A graduate of the Manhattan School of Music, he has written pop, rock, country, concert music, lyrics and music for musical theater, plus incidental music for theater and tv. His children’s musicals have been produced at The Manhattan Children’s Theater and at the NY International Fringe Festival and his musical for grownups “‘Round Midlife” enjoyed an off-Broadway run in 2013. His newly released two-CD recording of song cycles, Songs of Boyhood and Songs of Brooklyn, are enjoying international radio play. 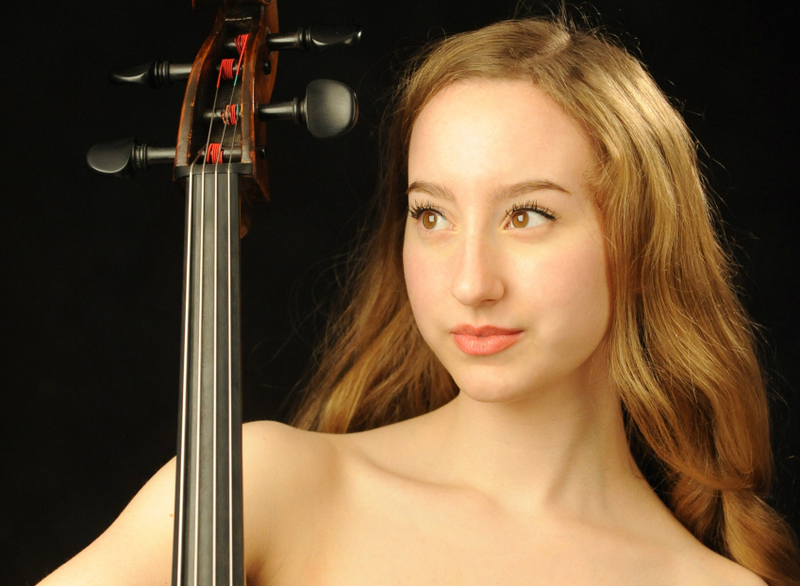 Cellist Tessa Seymour (soon-to-be-graduate of Curtis Institute of Music and an alumnus of NPR/PBS’s From The Top) had a chat with me via Skype for my podcast The Glass Sho! She discussed music, her upcoming new CD and playing for the Dalai Lama. JCC Manhattan presents PREformances with Allison Charney on Monday, April 13th at 7:30pm. This is the final concert in Season Six of PREformances, a unique concert series offering audiences rare opportunities to hear celebrated classical musicians before they perform on the world’s most prestigious stages, providing a coveted space for engagement and rehearsal whilst dissolving traditional barriers between performer and audience. PREformances will feature an exciting evening of music from Beethoven to Bizet, as series founder and curator, soprano Allison Charney, welcomes fellow singers to a special PREformances collaboration. Mezzo-soprano Sara Murphy will sing selections from her upcoming recital at the prestigious Cincinnati May Festival. Tenor Alok Kumar, who is preparing for his debut as Calaf in Turandot with Opera Company of Middlebury, as Don José with OperaDelaware and a production at the Walt Disney Concert Hall in Los Angeles, will also be performing. In addition, PREformances’ official collaborative pianist, Craig Ketter, will play Beethoven’s beloved Sonata Pathétique in anticipation of his solo recital tour and Allison Charney will sing selections from her new recording, scheduled to be released in the Spring of 2016. Subway: 1/2/3 to 72nd St.; Bus: M7 or M11 to W. 75th St. Exploring the Metropolis presents Ian Ng’s The Idea of Becoming, a new music and dance workshop, hosted by ABT Studios. Featuring students from the ABT/JKO School with choreography by Zhong-jing Fang, this event will comprise of a performance followed by a moderated Q&A session. Ian is a 2014-15 EtM Con Edison Composer-in-Residence at The Filomen M. D’Agostino Greenberg Music School at Lighthouse Guild.